From the day Jesus’ tomb was found empty until today, the debate over Jesus’ resurrection has been as divisive as ever among scholars. For the sake of consideration, let us agree with the skeptics who say Jesus’ died but was never resurrected. This presents at least three major problems. Spiritual. According to Christian teaching Jesus’ death provided the shedding of blood for the forgiveness of mankind’s sins. His resurrection completed the work. No resurrection would mean no forgiveness. Humanity would be cursed to bear the guilt and shame of their sin forever. All people would be destined to a vain life and fearful death because of no hope beyond ourselves. Moral. According to Christian teaching God declares He does not lie and listed it in the Ten Commandments to be obeyed by His followers. If the resurrection never happened then God is a liar. Jesus is a liar. The Apostles are liars. The whole Bible is a lie. The billions of Christians for the last 2000 years (including this writer) are all liars. The entire Christian religion would be humankind’s greatest conspiracy. Theological. According to Christian teaching, Jesus was not a mere man but divine and His resurrection was ultimate proof. 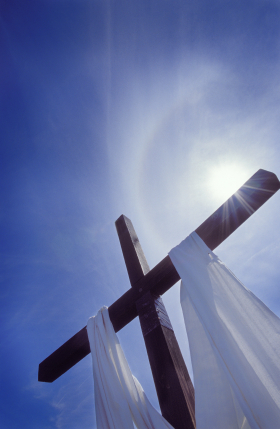 If Jesus had not risen from the dead it would be legitimate to ask “How could God have died . . . and stayed dead?” If there was no resurrection Jesus was not divine. His miracles were a hoax. His teachings are empty. He is nothing more than an influential historical figure like Socrates, Gandhi or Martin Luther King. What shall we say in response? His tomb is empty. His bones have never been found. There were eye witnesses to His resurrection. One early follower said, “This Jesus God raised up, and of that we all are witnesses” (Acts 2:32). For centuries billions of these witnesses have been transformed by Him. JESUS IS ALIVE! HE IS OUR HOPE FOR TODAY AND FOREVER! A prayer for you - Lord God, I pray the reader would understand the resurrection like they never have before. May they trust in you with all their heart and call out to you and be saved. If they are religious, but do not know you personally, may today they enter into relationship with you for the first time. In Jesus name. Amen."